Monkstown FC have partnered with leading sports brand Optimum Nutrition for the forthcoming season. The Sandymount-based club announced the deal as they seek to join the ranks of the All Ireland League (AIL) this season. Optimum Nutrition has set the standards in sports nutrition for more than 30 years helping performance focused athletes across the globe achieve their goals. The global brand will appear as leading sponsors on the Monkstown First XV jerseys and will support the squad with a range of Optimum Nutrition’s Gold Standard protein, energy and recovery products throughout the season. Speaking at Sydney Parade this week, Monkstown First XV captain, Brian Flaherty said: “We’re delighted to partner with a top-class brand like Optimum Nutrition for the forthcoming season. Monkstown are currently battling it out in a tough Leinster League Division 1A, with the goal of progressing to the AIL next year. 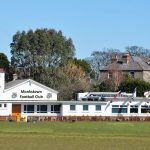 Monkstown are the latest Rugby club to join the Optimum Nutrition family and will join Leinster Rugby, Ulster Rugby, and back-to back European Champions Cup winners Saracens.